The newly built Froiland Science Complex is a 125,000-square-foot facility, named in honor of Dr. Sven Froiland, a renowned scholar, WWII veteran, and a champion for the advancement of scientific research at Augustana University. Designed by Smith Group JJ Rand TSP Architects, the $35 million complex features a high-fidelity nursing simulation center and multiple technology-rich “classatories” –– rooms mixing traditional classroom elements and laboratory components. The complex also includes state-of-the-art research areas for faculty researchers and their student collaborators and glass-enclosed laboratories designed to put “science on display” for all students. 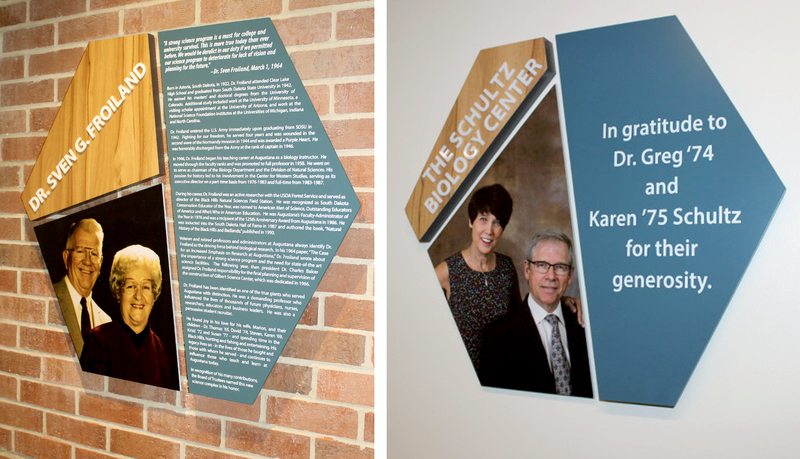 ASI was selected by TSP Architects to provide an interior signage solution, along with a donor recognition wall and donor signage to recognize the generosity of the donors that made this complex a reality. 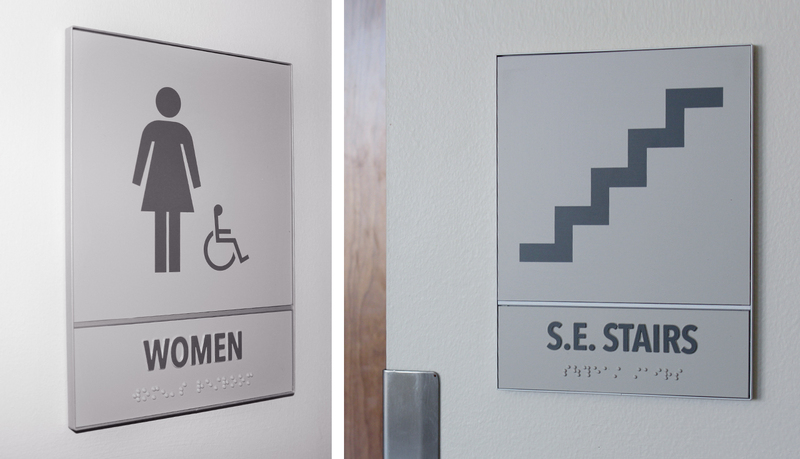 ASI was selected by TSP Architects in Sioux Falls to provide a Design-Build solution for the complete interior signage and donor recognition program. 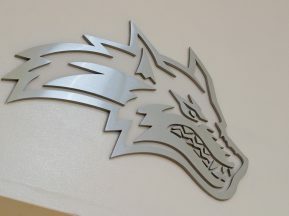 ASI had a single illustration for project inspiration, and from there ASI designed and implemented the signage solution for the Froiland Science Complex. 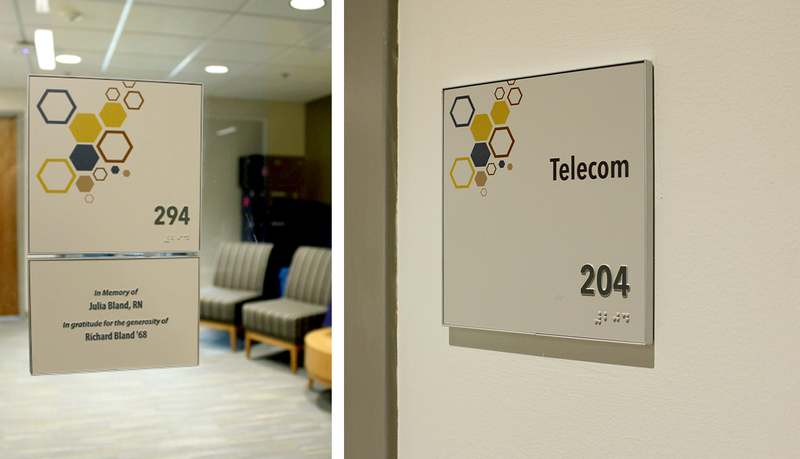 Augustana University had a framed system throughout the campus, so ASI needed to provide a system that was sleek, yet traditional to have the continuity of the established signage. 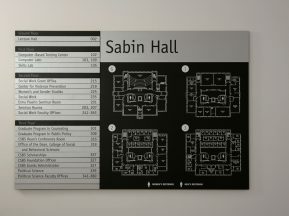 ASI selected it’s Fascia Interior Signage System to complement the existing system and to accommodate the many changes that would take place weekly. 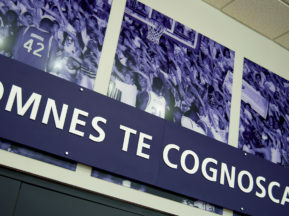 ASI designed a large-scale, multi-dimensional donor recognition wall and custom donor recognition signs for specific rooms throughout the complex. The challenge faced during the installation was the continued submission of donor names up to the grand opening event. 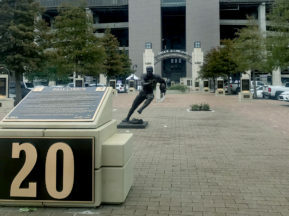 ASI worked quickly to fabricate and install all elements prior to ensure all donors would be recognized. 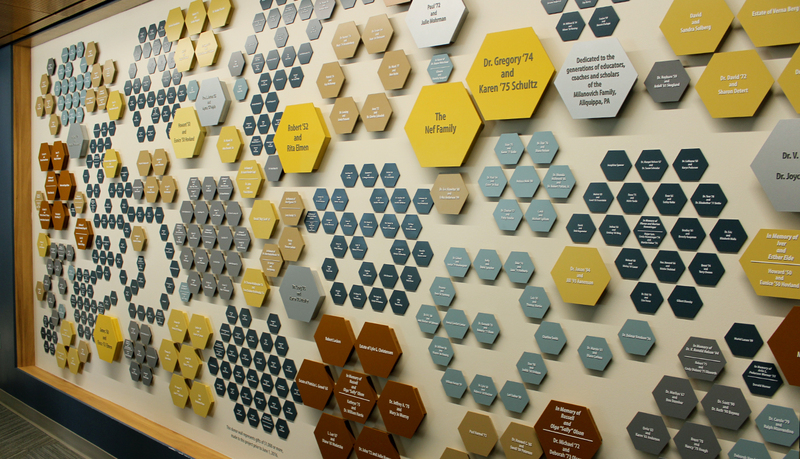 The complete result was a seamless, sleek program that could be updated regularly and a beautiful donor wall that matched the impressive, state-of-the-art complex. We had a fabulous dedication event yesterday. 500 attended. 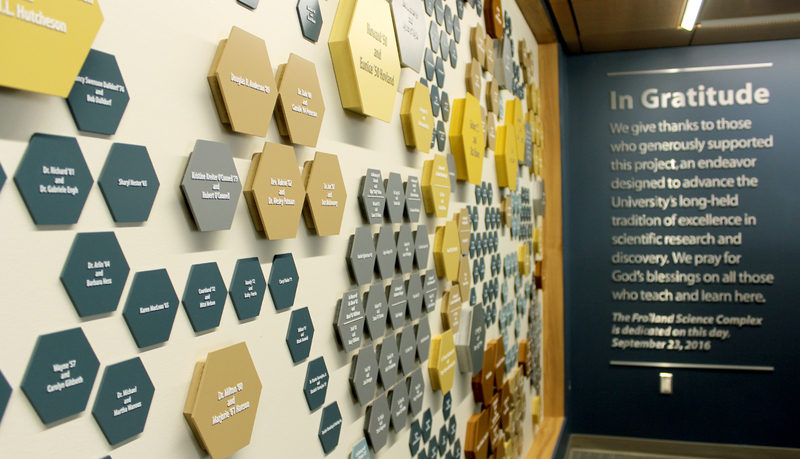 Folks were really impressed, including the donor recognition wall.